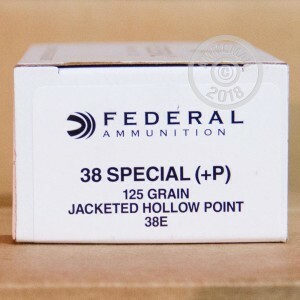 This inexpensive hollow point ammunition from Federal lends itself to a variety of purposes including target shooting, hunting, and self defense. 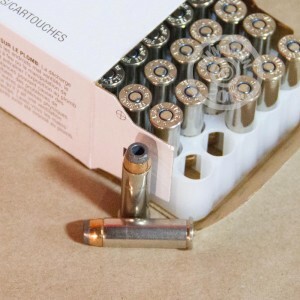 Each cartridge in this box of 50 fires a 125 grain jacketed hollow point bullet and uses a high pressure (+P) loading to achieve a muzzle velocity of 950 feet per second. These cartridges should only be used in firearms rated for +P ammunition. 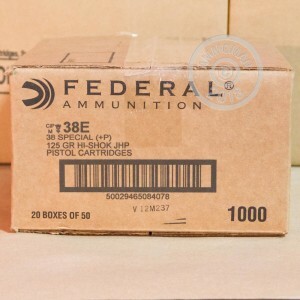 This ammunition is loaded in Anoka, Minnesota using non-corrosive Boxer primers and brass cases. Place an order for $99 or more and AmmoMan.com will cover the cost of shipping and handling!